(4) Going forward, all media rights for all Pac-12 members will be controlled by the conference (as opposed to a portion being controlled by the individual schools as it is today). Let’s examine each of these points from the perspective of the Pac-12 and how they apply to the college sports world at large. As for Comcast/NBC, call me skeptical of them ever becoming a truly major player in college sports. Comcast-owned Versus certainly is looking for more sports programming, but that’s a fairly unattractive national cable partner compared to ESPN or FX on its face and you’re more likely to see sports move away from NBC as opposed to any events being added. Sports programs in general are loss leaders for over-the-air networks and the last thing that NBC needs is more losses. In fact, NBC Universal CEO Steve Burke told Wall Street analysts covering Comcast specifically yesterday that NBC’s current “sports properties lose hundreds of millions of dollars per year.” NBC lost $220 million on the 2010 Vancouver Winter Olympics and even its gold-plated NFL Sunday Night Football package loses around $100 million per year. So, it doesn’t exactly sound like the new Comcast ownership is going to be spending very much money on more sports on NBC. If anything, those quotes from the head of NBCU indicate that they’re preparing to cut back heavily. Therefore, any conference hoping for Comcast/NBC to come through with some great offer is going to be severely disappointed. From the Big Ten’s perspective, I see Fox only as a viable option in the conference’s next TV deal if there is essentially a replication of the SEC’s agreement with CBS: the top game of the week gets coast-to-coast over-the-air coverage. I can’t realistically see the Big Ten considering a deal with Comcast at all. While much has been made of the Big Ten’s partnership with Fox regarding the Big Ten Network, it must be emphasized that the conference still receives substantially more money from ESPN compared to the BTN. There are also more Big Ten events on ESPN today than there were prior to the BTN being formed. From the very beginning, the BTN has always been intended to be a supplement to ESPN coverage as opposed to a replacement. The Big Ten is smart enough to know that the time slots that it has secured with ABC and ESPN provide incredible exposure and the conference doesn’t want to kill the proverbial long-term golden goose for short-term financial gains. Any new deal going forward has to provide even more exposure than today’s deal. Thus, I could see the Big Ten pushing to a movement of the games that are regionalized on ABC right now to national over-the-air Fox coverage. However, I highly doubt that the Big Ten would ever seriously consider moving ESPN games to FX (and definitely not to the patchwork quilt of Fox Sports Net affiliates). It’s interesting to note, by the way, that the two conferences that make the most money outside of ESPN (Big Ten with the BTN and SEC with CBS) also make the most money from ESPN. Money certainly talks, but the Big Ten seems to be a property that ESPN will pay up to get them to stay (and the desire to stay on ESPN will be reciprocated by the conference). That leads to Point #2, where apparently the Pac-12 is a conference that ESPN is not willing to pay up for. More specifically, ESPN appears to believe that the Pac-12 TV package is worth less than comparable ACC rights. This doesn’t surprise me at all. I’ve been fairly consistent on this blog that the ACC is in much better shape than what a lot of sports fans (that have concentrated on the conference’s relative weakness on the football field over the past few years) believe. National marquee brand names are extremely important for determining college sports rights and the ACC has 2 big ones for football (Miami and Florida State) and arguably the 2 very biggest ones for basketball (Duke and North Carolina). The ACC basketball package is also unique in that it draws football-level ratings in several of its markets, which is something that none of the other BCS conferences can claim (even those that might be better on the court in a given year, such as the Big East). If and when Miami and Florida State get back on track, you’ll see a dramatic turnaround in the football perception (and TV ratings) of the ACC. In contrast, the Pac-12 is largely reliant on the strength of USC for football and UCLA for basketball in terms of drawing national interest. Beyond the LA schools and Oregon’s wacky uniforms, the Pac-12 continues to struggle with getting much notoriety in the Eastern 2/3rds of the country. The Pac-12’s inability to get much of a large bid out of ESPN should be a small warning sign to the Big 12 and a large red flag to the Big East, who are both hoping to receive large TV rights increases from the Worldwide Leader. Several conferences last summer were under the impression that ESPN paying such a large amount to the ACC meant that the network’s greenback gushers were wide open and they could switch the style up, but if they hate let ’em hate and watch the money pile up. Instead, it looks like ESPN is going to keep all its money in a big brown bag inside a zoo. Dan Beebe and the Big 12 members may sweat it out a bit as there were some financial assurances from ABC/ESPN this past summer that aided in keeping the conference from splitting apart. Personally, I’m a believer that ESPN understands the big picture and seeing that they presently want to avoid the formation of superconferences, they’ll pay enough to the Big 12 so that the conference makes good on its promises to Texas, Oklahoma and Texas A&M. With ESPN’s investment in the UT network, the Big 12 needs to stay alive and a few extra bucks on the conference contract would be money well-spent. The Big East is a different matter. That conference has already bore the brunt of having football games moved by ESPN to Thursday nights initially, and then when the SEC, ACC and Pac-12 saw that Thursday was a great night for exposure, the Big East has been kicked around to several Friday nights and even some Wednesday evenings. Much of the hope of a Big East TV contract increase rested on leveraging its valuable and massive basketball package into better football exposure. However, if ESPN isn’t willing to pay the Pac-12 TV rights in line with the ACC, then it stands to reason that they’re going to value the Big East even less. Unless Fox or Comcast swoop in with competing bids for the Big East, the conference’s schools are going to have a difficult time coaxing the increases that they’re hoping for from ESPN. I’m sure that you’ll see the Big East get what amounts to an inflationary increase (maybe 150% of what they receive now), but not enough to get on the same tier as the other BCS conferences. Under Point #3, Larry Scott seems extremely determined to start a Pac-12 network. However, Jon Wilner pointed out a large potential obstacle: Time Warner Cable. He noted that TWC is the largest cable provided in the Los Angeles market and they’ve had a habit of getting into carriage fights regarding regional sports networks. What Wilner neglected to mention (and I find to be even more important) is that TWC just sent a Valentine’s Day present to Jerry Buss of what’s rumored to be around $150 million per year to create two new regional sports networks in the LA market (one English language and the other Spanish language) built around the Lakers. With 3 Fox Sports networks in that market already, that means that the LA market will be supporting 5 RSNs and making it even more crowded than the New York City market. This crowded environment in the Pac-12’s most important market has huge implications on whether a conference network can realistically be formed. The Big Ten Network only had to compete with 1 RSN in each of the markets within its footprint (even in its largest market of Chicago, which only has Comcast SportsNet Chicago). Thus, it was a more palatable for the cable providers to give in when the BTN was RSN #2 on their systems… and even then, it took over a year of carriage fights for them to get to that point. It’s a much different value proposition for the Pac-12 attempting to enter into market that already has 5 other RSNs – TWC has a whole lot more leverage to demand lower subscriber rates or refuse basic carriage entirely. Note that a potential Big East Network would face the same issues in the NYC market with so many RSNs already clogging up cable bills. This was a factor in the Big Ten ultimately deciding to not go after schools like Rutgers or Syracuse in this last round of expansion, as the BTN absolutely had to get basic carriage in the NYC market in order to financially justify those additions, and they didn’t see that happening anytime soon. Fans of all conferences should keep a close eye on the West Coast since how the Pac-12 proceeds will be a significant indicator of how TV networks will pay for college sports in this next round of contracts. It was as predictable as a lackadaisical road game for the Illini basketball team. When the University of Texas signed its network deal with ESPN, the drumbeats from people that aren’t looking at the big picture started: “Well, this means Texas A&M is heading to the SEC sooner rather than later.” It’s a stance that’s become reflexive among many widely read pundits. Unfortunately, that stance is absolutely and positively dead wrong. If there’s one overarching takeaway that you should get from this blog post, it’s that what Texas A&M wants to do means jack. I’m very certain Aggies all across America (especially the younger ones) would love nothing more than to move to the SEC, yet that’s irrelevant. What really matters is what Texas A&M is allowed to do, and with a Molotov cocktail of an SEC that doesn’t really want to expand, Texas state politicians that are out to quash any move that will injure Texas Tech and Baylor, and ESPN specifically wanting the Big 12 to live, that leaves with Texas A&M with virtually no options outside of staying right where they are. Let’s start out with the most basic rule in conference realignment: it takes two to tango. 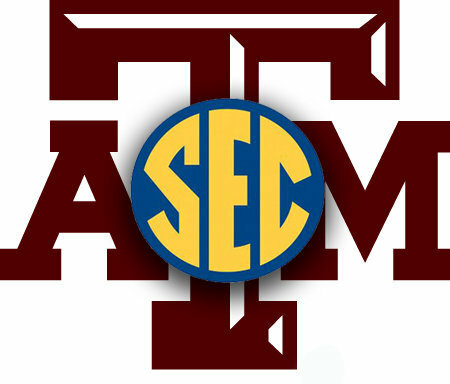 In order for Texas A&M to even consider to move, the SEC has to want to add them in the first place. There’s a widely misguided belief in the blog and message board world that since the SEC reportedly invited Texas A&M and Oklahoma over this past summer, that means there’s an “open invite” for the Aggies and Sooners. Nothing could be further from the truth. Everyone is forgetting the circumstances under which the SEC invited those two schools. OU president David Boren stated that the Pac-16 proposal was researched and planned, while the SEC invitations were “a reaction to the situation”. The SEC was never proactive in last year’s conference realignment because they didn’t (and still don’t) have any type of vehicle to justify expanding beyond 12 schools. This is in contrast to the Big Ten, whose Big Ten Network can garner additional revenue from adding more basic cable households, and the Pac-10, who was so far behind in revenue that it was worth it for them to take a huge leap in order to add UT and friends. The fact of the matter is that the SEC loves the status quo. They are Wal-Mart to the Big Ten’s Target in college football’s financial hierarchy, with everyone else way behind. The last thing that the SEC wanted was to see major changes to the conference landscape where a third equal competitor would rise up or, even worse, being sent to a permanent third place position. So, the only reason why the SEC offered A&M and OU those invites was because they were looking at a world where 2 superconferences were about to be formed – the Pac-16 with UT as the centerpiece and a 16-school Big Ten with Nebraska and Notre Dame as the main additions – and they had to draw a little blood in order to not completely get left behind. We need to make this clear: the SEC invites to A&M and OU were completely reactionary. Once the Big 12 was saved and superconferences weren’t formed, the reasoning for the SEC to expand evaporated. There is only one way that the SEC can lose its dominant position next to the Big Ten at this point: if UT moves from the Big 12 to another conference (because as we’ve explained here before, they’re never going to the SEC themselves). That’s something the SEC absolutely doesn’t want to see happen. As a result, the SEC isn’t going to make a proactive move on the Big 12 because it’s not going to risk giving UT a reason to explore the Pac-16 proposal again. If some other conference makes a move on the Big 12, then the SEC will react in order to pick up the pieces, but they’re not going to attack first. The only realistic way A&M gets an SEC invite is if someone else raids the Big 12. 1994 – UT and A&M attempt to move to the Big 8 by themselves to create a 10-team conference. Texas legislators catch wind of the plan and use political pressure on those 2 schools to force Texas Tech and Baylor into the league, too. 2003 – The ACC invites Miami, Boston College and Syracuse. Virginia legislators catch wind of the plan and use political pressure on UVA to force Virginia Tech to get an invite in lieu of BC and Syracuse. BC eventually gets an invite later on, while Syracuse is still in the Big East. 2010 – The Pac-10 invites the entire Big 12 South except for Baylor. The deal falls apart and Pac-10 commissioner Larry Scott attributes it to the political heat from Texas legislators with Baylor getting left out. See a pattern here? State legislators have played a central role in all three major conference realignments in the past 20 years, including Texas legislators specifically in two of them. Public universities are controlled by a ton of different interest groups, including people whose loyalties lie with competing universities. Notre Dame, as a private university, can simply listen to its own rabid alumni base in making decisions. Texas A&M (and other public universities) can’t do the same. Despite this fact along with recent conference realignment history, virtually every single column that I’ve read suggesting that Texas A&M will eventually head to the SEC either (a) completely ignores Texas politicians altogether or (b) makes unsubstantiated comments that the politicians aren’t obligated protect Tech and Baylor anymore. What?! It’s incredulous to me how anyone that observed what occurred this past summer could think for two seconds that Texas politicians won’t get involved. If anything, it proves that Tech and Baylor have more pull than previously anticipated. As I’ve admitted previously, I certainly made the grave mistake a year ago in my conference realignment analysis of underestimating how much Texans believe that football matters are of the utmost political importance. I haven’t seen a single person articulate a legitimate reason why a single thing has changed in the political environment in Texas since this past summer or even 1994. The Texas legislature has literally done more to shape college conferences over the past 20 years than any other entity. Besides, even if you assume that Tech and Baylor don’t have a Bob Bullock-type figure to hammer through their interests, UT is going to be right alongside the supporters of the little brothers on this issue. UT wants nothing to do with A&M in the SEC (for good reason) and the Longhorns know how to play the political game as well as anyone. I really hope people aren’t naive enough to think that Texas politicians are just going to sit on the sidelines if A&M attempts to move to the SEC by itself. (1) UT and A&M are in the same conference as Tech and Baylor. Period. (2) Tech and Baylor are financially stronger without one of the big brothers in the same conference than with them. Think of it this way: if I come and take a wrecking ball to your kitchen, you’re probably not going to think you’re “taken care of” if I point out the fact that I left your bedroom intact, so at least you’re not homeless. Well, Texas A&M can’t just leave the Big 12 and make more money in the SEC while simultaneously reduce the conference revenues for Texas Tech and Baylor (and for that matter, UT) and claim that they’re “taken care of”. That’s a proactive move by A&M that hurts those in-state little brothers. So, simply saying that Tech and Baylor are still in an AQ home isn’t good enough for the Texas politicians. A&M has to find a way to ensure that Tech and Baylor somehow make more money with the Aggies leaving the Big 12, which most reasonable people would conclude simply isn’t realistic. As noted earlier, the SEC doesn’t really have a financial vehicle to justify expanding in the first place, so every expansion candidate has to pull more than its own weight. A&M is a very good catch for any conference by itself, but that school isn’t worth SEC having to add any type of financial dead weight (Tech or Baylor) in order to get them. As for OU, the Sooners are even more tethered to Oklahoma State politically than the Texas-based schools are to each other. The T. Boone Pickens mafia will destroy that prospect immediately. There’s absolutely no scenario where OU would move to another conference without Okie State. None. Zip. Nada. Zilch. Here’s the bottom line: the Pac-16 proposal is now the bare minimum that politicians will consider. That proposal protected Texas Tech and Oklahoma State, yet the big brothers of UT, A&M and OU ultimately rejected that deal. As a result, those big brothers expended pretty much all of their political capital on conference realignment. There was a massive offer from a major conference that was willing to take Tech and Okie State, which means that the big brothers can’t now look their respective state legislators in the face and say that they’re ditching the little brothers for a better deal elsewhere. (This includes the prospect of UT going independent.) From this point forward, there’s absolutely NFW that the politicians in either Texas or Oklahoma are going to let the big brothers move without something that replicates the original Pac-16 proposal at the very least. If you believe Larry Scott, Baylor has to protected in order to ensure it gets approved, too. Some OU supporters are already ruing the day that they walked away from the Pac-16 offer. (Of course, that’s neither here nor there. OU wasn’t getting a Pac-10 invite without UT also coming along.) Honestly, A&M’s reluctance to go to the Pac-16 might be what ends up forever binding them to the Big 12 that so many of their alums now hate. Why would Texas politicians let them go off to the SEC alone when all of UT, A&M and Tech would’ve been taken care of in the Pac-16 deal if A&M didn’t have any reservations to going west? The answer is that they’re not – A&M is stuck, whether they like it or not. Finally, there’s a pretty basic item that so many people are missing: ESPN paid up last summer specifically to save the Big 12, so they wouldn’t have entered into a deal with UT unless they believed the Big 12 would stay together. Certainly, ESPN wouldn’t have created the new UT network if it would have the effect of actually breaking apart the conference that it just saved. ESPN might be annoying from a journalistic standpoint, but their business people aren’t stupid. So, ESPN entered into the deal with UT based on assurances that the Big 12 was going to live on, and the cable giant has a ton of control over that. With the Worldwide Leader holding the purse strings for the Big 12’s next TV contract, they’re going to provide juuuust enough to keep the non-UT members placated to ensure the investment in the Longhorn network was worth it. ESPN wants nothing to do with paying massive rights fees for superconferences, which is why they intervened when it looked like the Big 12 was going to collapse. The status quo is what they desire for college conferences and they have the financial capital to pay out accordingly in order to keep it that way. Make no mistake about it – ESPN knows that UT staying in the Big 12 is ultimately what provides it stability and that’s a big reason why $15 million per year for the Longhorn Network is a relatively inexpensive insurance policy for the Worldwide Leader. At the end of the day, if A&M or any other Big 12 school had an issue with UT’s new TV network, the time that they had any leverage was last summer. They’ve all known for years that UT has been planning for a new TV network, so this wasn’t a surprise. In fact, it was a key negotiating point of last summer’s realignment discussions. Now that they agreed to keep the Big 12 together and, more importantly, rejected a Pac-16 deal that would’ve protected Texas Tech and Oklahoma State specifically, A&M in particular doesn’t have any more chips to play. You can’t always get what you want, Aggies. Instead, you can only do what you’re allowed to do, which isn’t much at all.